A chuckle. 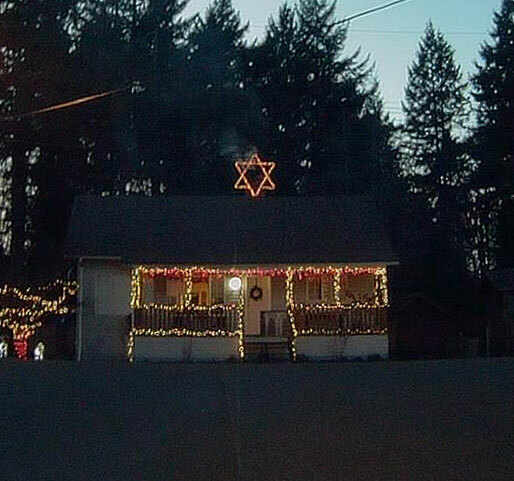 Christmas decorations going up – wonder if the people who put up the Star of David with their Christmas decorations are aware. This from last December. The UBID Chair has claimed knowledge and experience with Robert’s Rules. Then why doesn’t he control the meeting according to Robert’s Rules? Why does the Chair allow other trustees to call ‘point of order’ and then those same trustees do not advise what rules are being broken? The Chair loses control every meeting because certain trustees are hell bent on not allowing Trustee Kaljur to even finish speaking. What rules were being broken when the usual interrupter called a ‘point of order’ stating that Trustee Kaljur shouldn’t be allowed to amend the minutes as she sees fit? This isn’t proper ‘point of order’, this is a trustee voicing his opinion on the matter. How was Trustee Kaljur breaking any rules according to Robert’s Rules? That’s what the interrupting trustee was supposed to address when making his ‘point of order’ but no one can tell this guy anything. Loves to hear his own voice. Trustee Kaljur didn’t break any rules – it’s a tactic this same interrupting trustee uses and then speaks over everyone wanting to put forth a motion and then asks for a seconder with the Chair allowing these outbursts. It’s the Chair’s responsibility to run an organized meeting and the UBID one is not up to the job. The UBID Chair wants to lay the blame on the only trustee who believes in democracy, transparency and accountability asking important questions on behalf of those she was elected to serve. The dysfunction is the norm with the UBID board. The only way these clowns are ever going to be able to run a meeting is with training. Nothing is going to change because they believe they KNOW everything without any instructions. 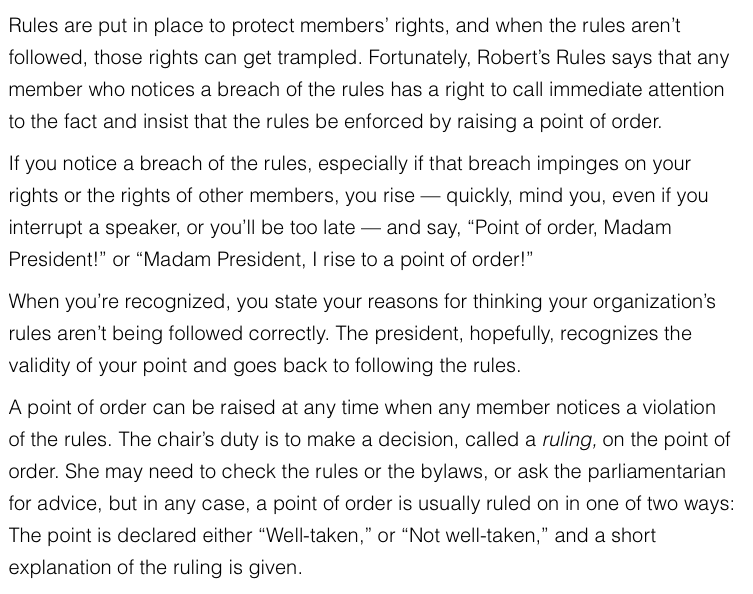 In Robert’s Rules of Order Newly Revised (RONR), a point of order may be raised if the rules appear to have been broken. This may interrupt a speaker during debate, or anything else if the breach of the rules warrants it. The point is resolved before business continues.